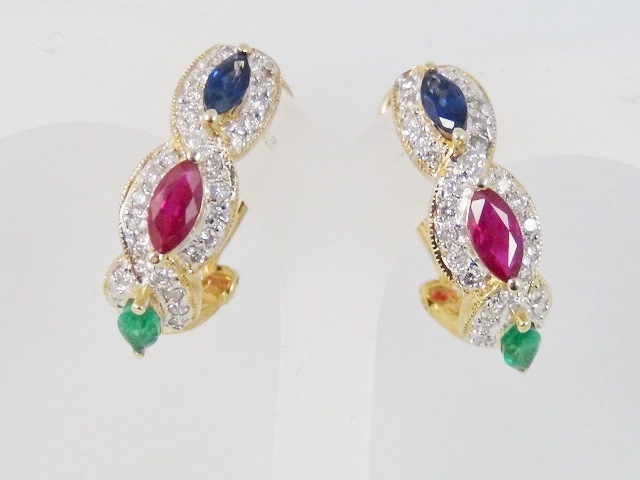 Ladies 14k yellow gold earrings with marquise sapphires, rubies, and emeralds and diamonds around each stone. 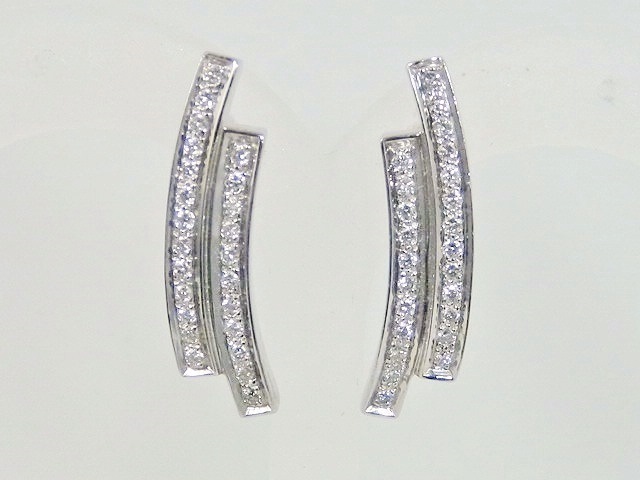 The back of the earrings are leverbacks. Category: Gold Earrings. 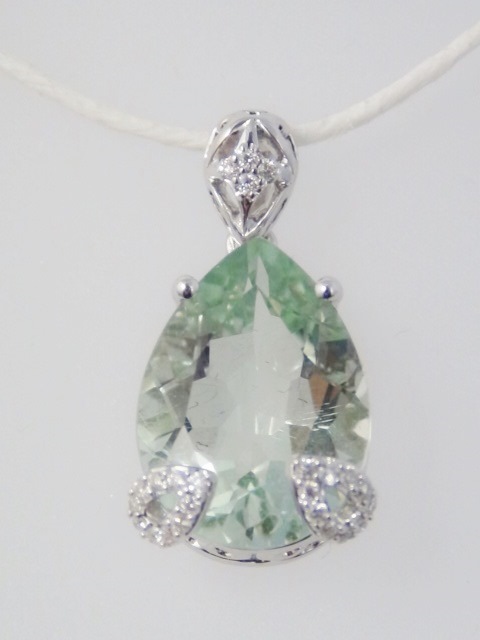 Tags: diamond, emerald, marquise, round, ruby, sapphire, yellow gold.